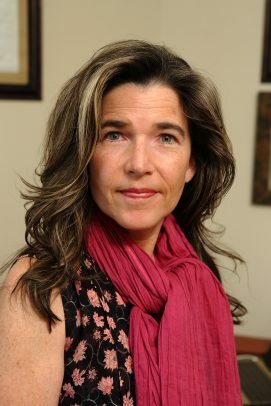 Rachel Gordon’s two decades of highly regarded research in early childhood education, developmental psychology and behavioral health touches nearly every part of the human life cycle. Similarly, her affiliations and collaborations across multiple fields seem to reach all corners of UIC. Gordon is professor of sociology in the College of Liberal Arts and Sciences; a faculty fellow of the Honors College; a senior scholar with the Institute of Government and Public Affairs; a fellow of the Institute for Health Research and Policy; and an affiliate of programs in psychology and educational psychology. Known for cutting-edge statistical methods and rigorous measurements, Gordon’s research has examined numerous contextual and social factors that affect children and families. This includes the use of child care and preschool quality measures to inform institutional and public policy, the health outcomes of child care and maternal employment, the implications of teenagers’ looks for their social and academic achievement, and the association between community context and child well-being. Other areas of her research have included relationships between youth gang participation and delinquency, the causes and consequences of grandmother co-residential support for young mothers, and the evaluation of an innovative job program for young couples. “One important piece of my career path is being interested in research that makes a difference in people’s lives, regardless of its disciplinary origins or methodological approach,” she said. Maria Krysan, UIC professor and head of sociology, praises Gordon’s record of building networks and communicating key findings in and out of the academic world. “She combines an ability to identify important research questions whose answers would benefit practitioners and policymakers alike with an ability to apply her substantive and methodological expertise to get answers,” Krysan wrote in nominating Gordon for the distinguished scholar honor. There are multiple ways to bridge boundaries to solve problems, said Gordon, who has experience in an “adversarial collaboration” approach. Gordon has overseen as principal investigator close to $3 million in externally funded grants over the past decade from entities such as National Institutes of Health, U.S. Department of Health and Human Services, National Science Foundation, MacArthur Foundation and the Institute of Education Sciences. Working with officials from Washoe County School District in Nevada and researchers from the Collaborative for Academic, Social and Emotional Learning, Gordon co-led one of the first researcher-practitioner grants funded by the Institute of Education Sciences. The partnership developed a measure of students’ social-emotional competencies to align with the district’s social and emotional learning standards. The project delivers new evidence related to aspects of the assessment’s validity and has since been adopted by other schools and districts across the nation to understand late elementary through high school students’ social and emotional competencies. “Beyond academics, this measure captures the ways in which social relationships and emotional well-being contribute to learning as well as attaining broader goals in school and life,” she said. Gordon is currently principal or co-investigator on two large grants. A National Institutes of Health study she leads has created and analyzed the largest-ever public repository of physical attractiveness ratings for a cohort of over 1,000 children from birth into adolescence, documenting how looks relate to various aspects of social and academic achievement. With funding from the Institute of Education Sciences, she and her colleagues are also developing a new measure of teachers’ supports to young children’s social and emotional learning. As part of the Provost’s faculty administrator leadership program and as the sociology department’s director of research training, she’s leading new initiatives that support students and junior colleagues in research development, funding procurement, and grant management. Gordon’s prowess in publications during the last 10 years includes a book-length, peer-reviewed monograph, nearly two dozen journal articles, two book chapters and two statistics textbooks.